Postmedia, a company that owns most of Canada’s major daily newspapers, published a sponsored story by a group called Friends of Science across its chain Tuesday. “For almost two decades, we’ve been told to expect a climate catastrophe and that it’s our fault. 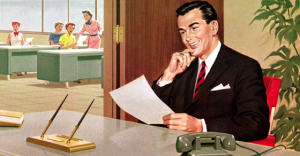 “The Alberta government blithely steamed into its Climate Leadership Plan without properly assessing the costs and consequences of early ‘phase-out of coal.’ It’s not like Friends of Science Society didn’t tell them. Postmedia did not initially respond to multiple requests for comment from PressProgress on Wednesday to explain why the story no longer appeared on multiple Postmedia newspaper websites, including the Montreal Gazette, Ottawa Citizen, Calgary Herald, Vancouver Sun and Postmedia’s online hub Canada.com. The sponsored story once again appears on the Calgary Herald’s website. 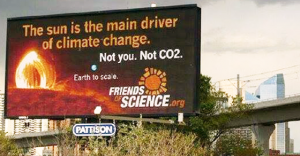 Last year, Advertising Standards Canada ruled Friends of Science’s billboards were in violation of the Canadian Code of Advertising Standards because they promoted messages that were deemed inaccurate and distorted science. In 2012, Mike de Souza, who was a Postmedia reporter at the time, revealed Friends of Science was kick-started with $175,000 in seed money from Talisman Energy in 2004, which was “channelled through the University of Calgary” with the help of political science professor Barry Cooper. Some conservatives claim women are paid less because they just choose to work in low-paying jobs. Is it just because they choose to work in low-paying jobs? As absurd as that sounds, that’s exactly what some conservatives claim.